They're actually releasing in October. 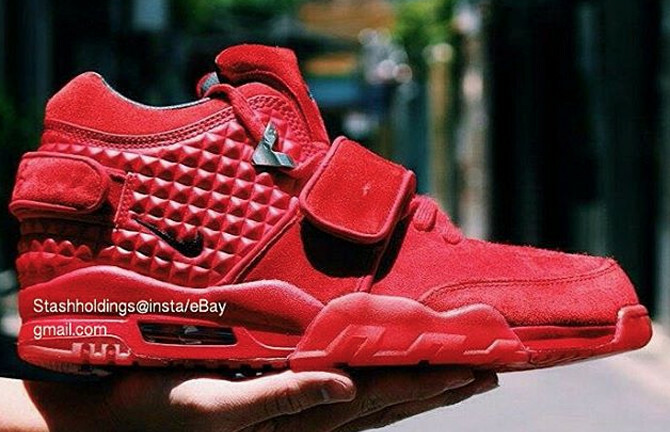 The Nike Air Cruz won't be shy about getting involved in the all-red wave of sneakers, as evidenced by this preview. 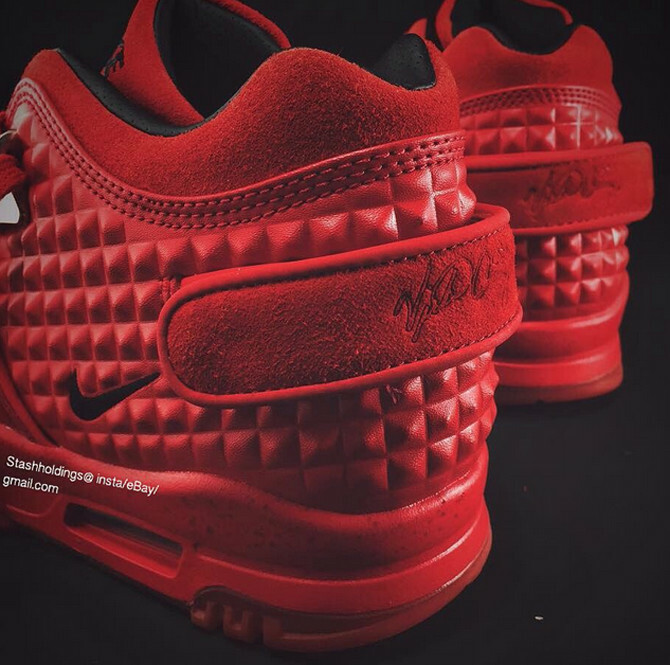 The sneaker even has the pyramid texture on the back, although to be fair, every Air Cruz pair looks to have that element. What should be obvious from the Nike Sportswear heritage cues that the design uses is that Cruz's signature model will be an off-the-field affair. 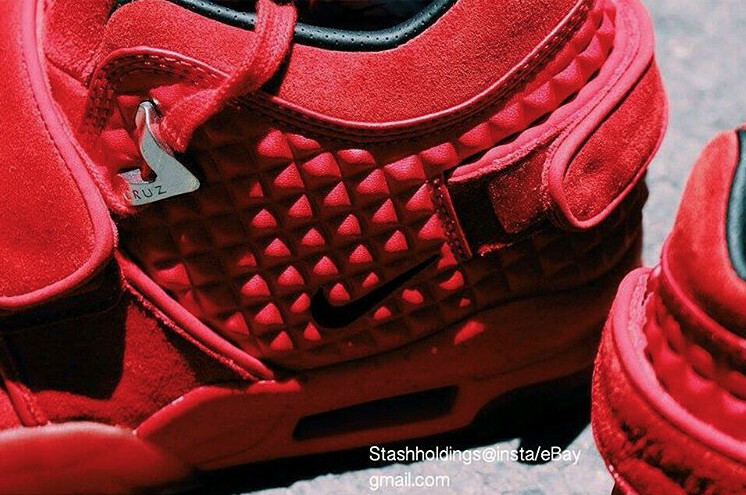 Sole Collector will have a sneaker release date for the Nike Air Cruz as soon as it's available. 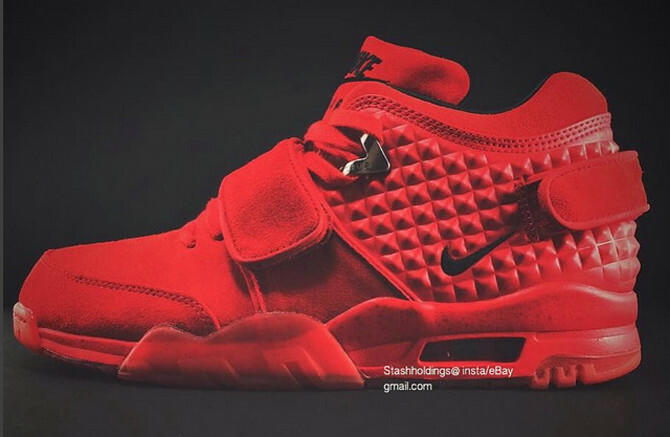 Nike Air Trainer V. Cruz "Red October"
UPDATE 9/17: The "Red October" Nike Air Trainer V Cruz release has been delayed. No make-up date has been announced. 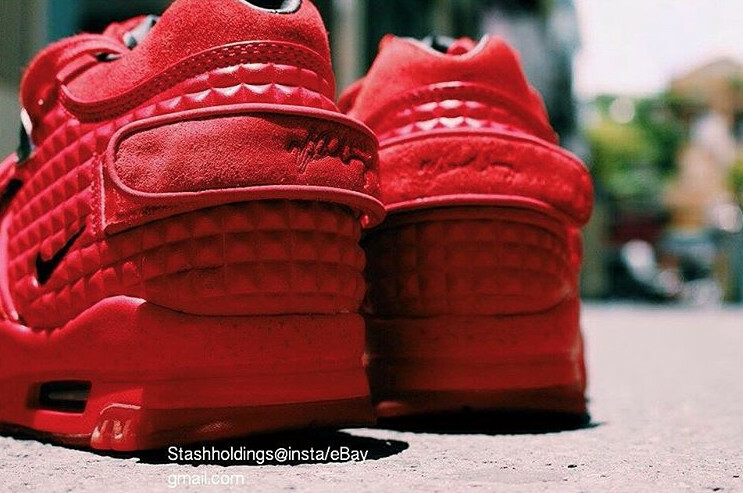 UPDATE 9/2: The Nike Air Trainer V. Cruz "Red October" will release on Oct. 2. 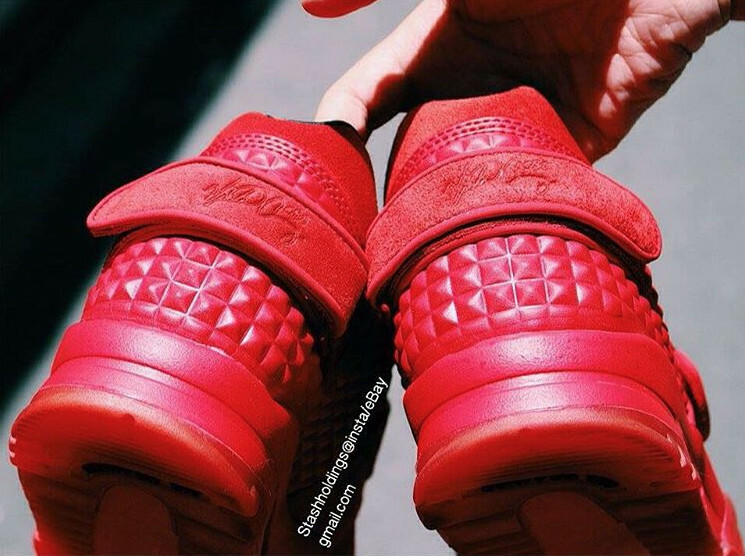 More images of the sneaker are available below.